I met Jeff Dodge at a party my sister-in-law was throwing in her back yard years ago. I overheard him talking to someone about cameras. He was talking camera. Throwing out brand names with letters and numbers. I was new to Portland and I hadn’t talked much camera with anyone. It wasn’t just cameras we talked about. Jeff is interested in just about everything, history, recording music and film making. He started Trench Digger Productions as a way to catalog, organize and explore his interests including his short film series he’s named Darge Dinner Theater. 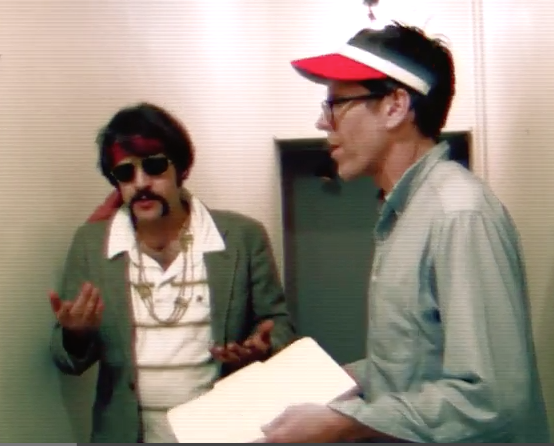 Soon after meeting Dodge, I got the call to assist on his feature length film, Jeff Steele: Children of the Doomed. He was shooting in the wilds of eastern Oregon. My mind was blown by the chance to spend time in the high desert area of Malheur County. 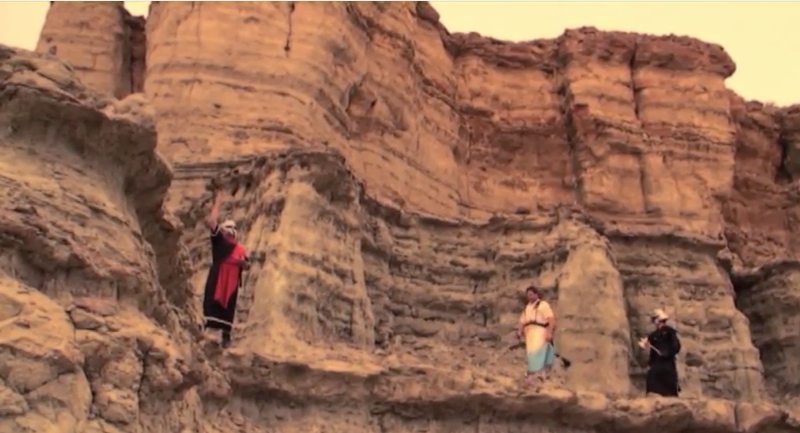 The Pillars of Rome and Leslie Glutch were two of the surreal locations where we shot. Being on a set and seeing what people had to do to complete a movie was an education in itself and getting the chance to visit the wide expanses and empty landscapes of the eastern part of the state has been one of the highlights of my Oregon experience. Now I’m completely biased about everything I have to say about Trench Digger. I had the opportunity to work on Dodge’s latest production KXLN Nebraska. I ran camera, acted and even got a writer’s credit. KXLN Nebraska has an improvisational element to it. It’s also rooted in the characterization of Mitch Humbucker by Mike “Woodman” Johnson who worked for years as a radio DJ. Mitch Humbucker might seem like something of a Howard Stern clone. 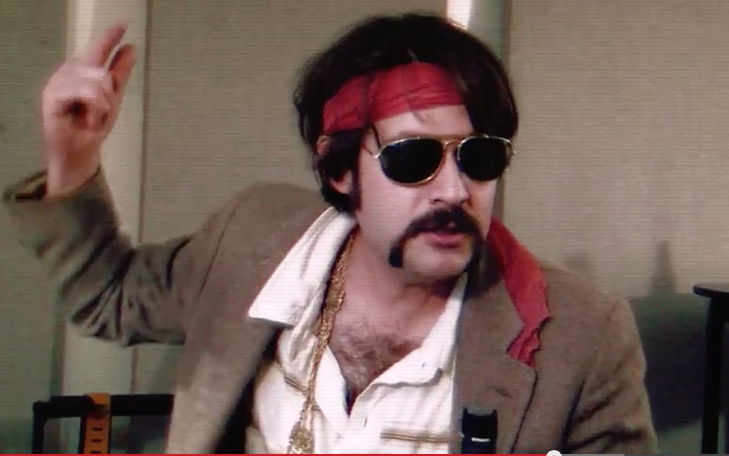 With the movie set in 1982, Mitch would have had no way of stealing the then, mostly, unknown Howard Stern’s act. In Nebraska we find a bored, frustrated and shaggy headed DJ slogging through his AM radio shift with nothing better to do but badger his show guests. Jeff Dodge plays a version of himself as a world-weary touring musician trying to cope with Humbucker’s venomous onslaught. Jeff Dodge remains a hero to me. He’s a guy with an active mind that never stops. It’s like there’s a shark in his brain that has to keep moving. It’s inspirational to see ideas that seem to explode out his head. 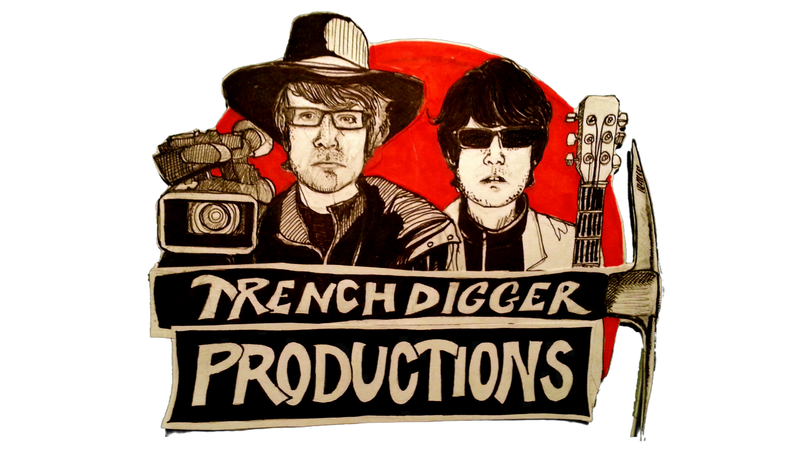 I’ll be watching Trench Digger to find out about his upcoming projects. I may find myself participating in them. Why wouldn’t I? Jeff has always been generous and willing to help me with equipment loans, work opportunities and tales of Dodge family history and stories about his work as a sound man. Every year, around this time, we celebrate the guy’s birthday. He throws the party.